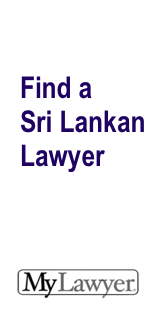 Sri Lankan Law Forum » Debt & Bankruptcy Law Forum » What is Bankruptcy? Whether a debtor is considering filing under Chapter 7, 11, or 13, they must comply with a vast number of federal laws and regulations. An error at any step of the process can result in the court refusing to discharge the debtor’s liabilities. When the bankruptcy process ends this way, the consequences are disastrous. With so much at stake, hiring a licensed bankruptcy attorney at the outset is wise investment.